Lithium-ion battery lets users mow continuously for up to 40 minutes on a single charge. 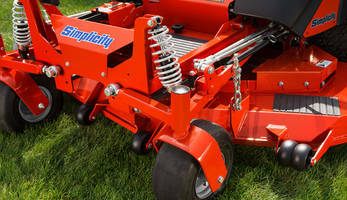 Ideal for trimming and mowing in tight quarters where maneuverability is important. PULSE battery used to power all tools in the full DR line of battery-powered tools (lawn mowers, string trimmer, hedge trimmer, 10-inch chainsaw, and leaf blower). 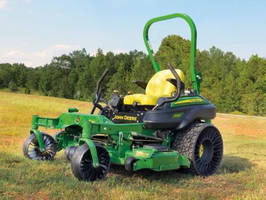 The 360Z Zero Turn Mower features a welded frame and a 36 in. or 46 in. cutting deck. 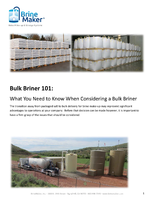 The product allows operator to navigate narrow landscaping obstacles like gates. It is equipped with Snapper Rear Engine Rider that is available in either 28 or a 33 in. mowing deck. The mower is offered with Hydro-Gear EZT transaxle and an optional utility cargo bed that can haul up to 50 lbs. 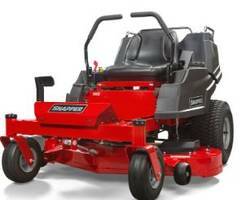 New Simplicity mowers from Briggs & Stratton include both the Limited Edition, Courier Zero Turn and Citation XT. The products feature integrated cargo beds, adjustable rear coil-over shocks and pivoting front axle with shocks and mower speeds of up to 12 mph. The MICHELIN X TWEEL TURF eliminates downtime from punctures. Compact Excavators offer flail mower attachment. 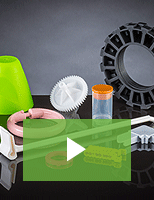 Cordless Outdoor Tools leverage brushless motor technology. 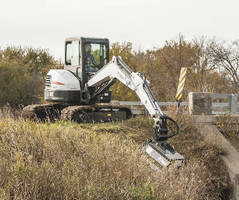 Flail Mowers add cutting versatility to excavators. Walk-Behind Mowers feature twin cylinder Kawasaki engines. 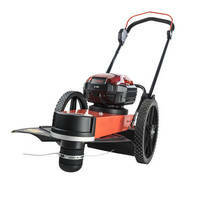 Lawn Mower suits commercial or residential applications.